Krish Tech LLC provides expert support and troubleshooting for all major brands of printers, scanners, and multifunction units. Whether your machine is inkjet or laser, wired or wireless, we can set up, configure or even troubleshoot a non-working unit. The goal is to provide you with the best possible functionality for the things that you want to do, the way you want to do them. These days, setting up a new printer is sometimes a little more complicated than simply plugging it into your computer. 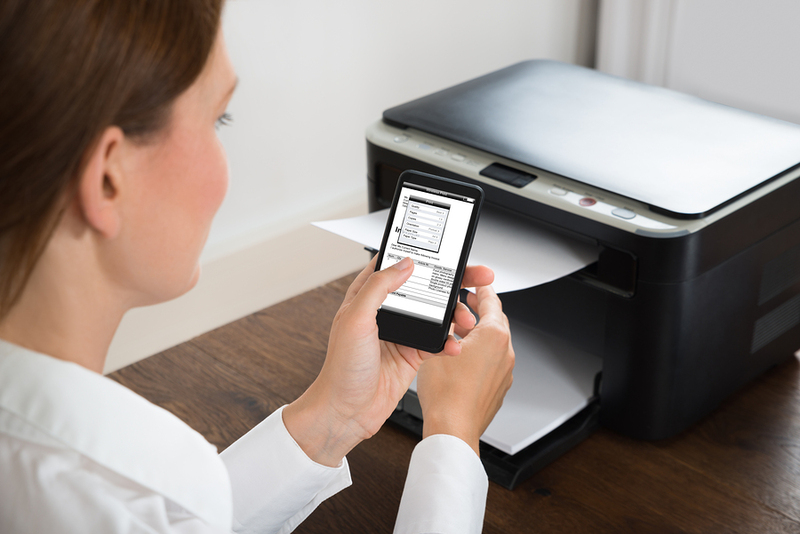 The good news is, most newer printer models are designed to be used wirelessly and can be connected to your home network, allowing you the freedom to connect to it from your laptop or desktop computer. Once we have set up your printer on your network, you or anybody in your family will be able to access it through any device, virtually anywhere in your home. Krish Tech LLC can help you learn to get the most out of your printer, scanner or multi-function. It’s no lie: many people use only a fraction of their machine’s full functionality, and sometimes there are nifty shortcuts and tips that we can pass along to help you get the most out of your investment. From greeting cards to arts and crafts, flyers, knitting patterns, archival photographs or your personal correspondence, Krish Tech LLC can help you get the results that you’re after. Regardless of the brand of printer, scanner or multifunction machine, Tech to Us will help get you up and running in record time. Our technicians are experienced with all the major brands, including Epson, Canon, HP, Brother, Dell, Lexmark and more. In most cases, you will be ready to start printing your cherished photos, correspondence or other documents right away. We perform all of our installs and configurations remotely, going through each step until everything works perfectly. Check out our all-inclusive home support plans, and find out the many ways in which Krish Tech LLC can help you connect with your technology. Have more questions about printer and multi-function support? Interested in signing up? Call us at +1-877-552-9914 and we’ll be happy to assist you!